It is sometimes necessary to completely remove trees or large shrubs due to disease, damage or to make way for new development. My team and I use high quality equipment to ensure the safe removal of unwanted trees and to guarantee a professional job. This type of work can be dangerous, particularly when trees are already dead. For your peace of mind we carry public liability insurance. Get the job done on time. Leave the site neat & tidy. All our work is supervised by myself, David Muyambo. Operating as a professional tree feller since 2001, I have proper training in tree felling and safety. I insist on my team using safety gear like harnesses, gloves, safety boots and safety goggles at all times. We have public liability insurance for your peace of mind. We work 6 days a week, Mondays to Saturdays from sunrise until the job is done. Pretoria / Tshwane and surrounding areas in Gauteng. We regularly work in the following suburbs: Brooklyn, Centurion, Equestria, Faerie Glen, Garsfontein, Hatfield, Irene, Lynnwood, Menlo Park, Montana, Mooikloof, Moreletapark, Rietfontein, Waterkloof and Woodhill. Look out for us in Lynnwood Ridge, Pretoria East, on the corner of Lynnwood Road & Twig Street. 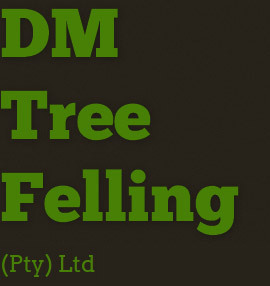 If we're busy felling trees, give David Muyambo a call on 073 536 1879. 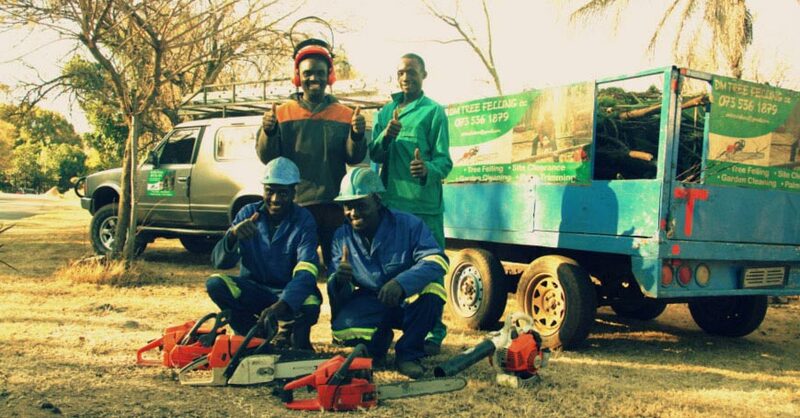 We have 2 teams, each equipped with chain saws, gardening tools, leaf blowers, a 4x4 vehicle and a trailer. For us, tree felling and site clearing are quick and painless operations. We dispose of all waste legally at various municipal dump sites in and around Pretoria.